Signed for the 2013-14 season by KK Ribola Kastela, A2. 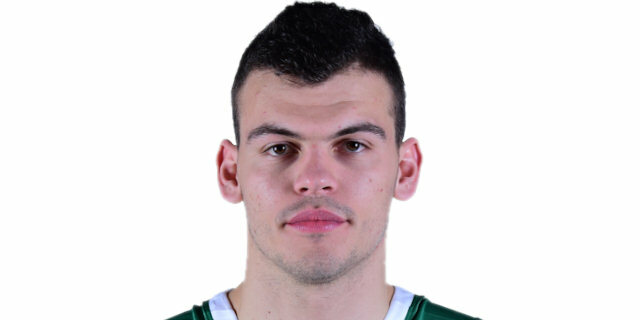 Signed for the 2014-15 season by Cibona Zagreb. Also played with KK Velika Nova Gorica. Played with Cibona till December'16. Moved to Turkey in December'16, signed by Darussafaka Dogus Istanbul. Played the 2015 Croatian All Star Game. Won the silver medal at the 2015 World U-19 Championship. Won the bronze medal at the 2014 European U-18 Championship. Led the 2016 European U-16 Championship in rebounds (12.8 rpg. ).